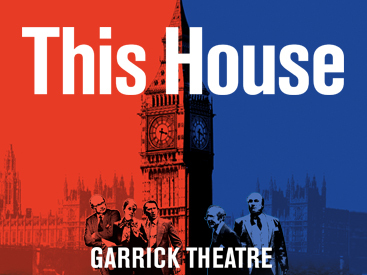 Gavin Kalin Productions are proud to announce James Graham’s critically acclaimed political drama This House will transfer to the Garrick Theatre, following its upcoming run at Chichester’s Minerva Theatre. Having originally played two sell-out seasons at the National Theatre, and again directed by Headlong Artistic Director Jeremy Herrin, This House opens for previews on 19 November, with a press night on Wednesday 30 November 2016. 1974. The UK faces economic crisis and a hung parliament. In a culture hostile to cooperation, it’s a period when votes are won or lost by one, when there are fist fights in the bars and when sick MPs are carried through the lobby to register their vote. It’s a time when a staggering number of politicians die, and the building creaks under idiosyncrasies and arcane traditions. Set in the engine rooms of Westminster, James Graham’s This House strips politics down to the practical realities of those behind the scenes: the whips who roll up their sleeves and on occasion bend the rules to shepherd and coerce a diverse chorus of MPs within the Mother of all Parliaments. Investment is expected to go fast. Contact us today for further information. Musical Million Dollar Quartet is to embark on its first UK tour, opening at Curve in Leicester. 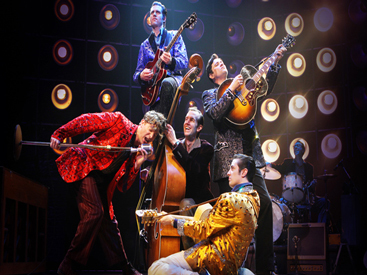 The show, about Johnny Cash, Carl Perkins, Jerry Lee Lewis and Elvis Presley, will open at Curve on September 14, before touring to venues including the Lyceum in Sheffield, Birmingham Hippodrome and the Cliffs Pavilion in Southend. It is currently booking until March 18, 2017. Written by Colin Escott and Floyd Mutrux, the show is produced by Simon Friend, Mark Goucher, Tom O’Connoll and Gavin Kalin Productions. Directed by Ian Talbot with Jason Donovan to play legendary record producer Sam Phillips. Units are limited in this production. Contact us today to receive more information. 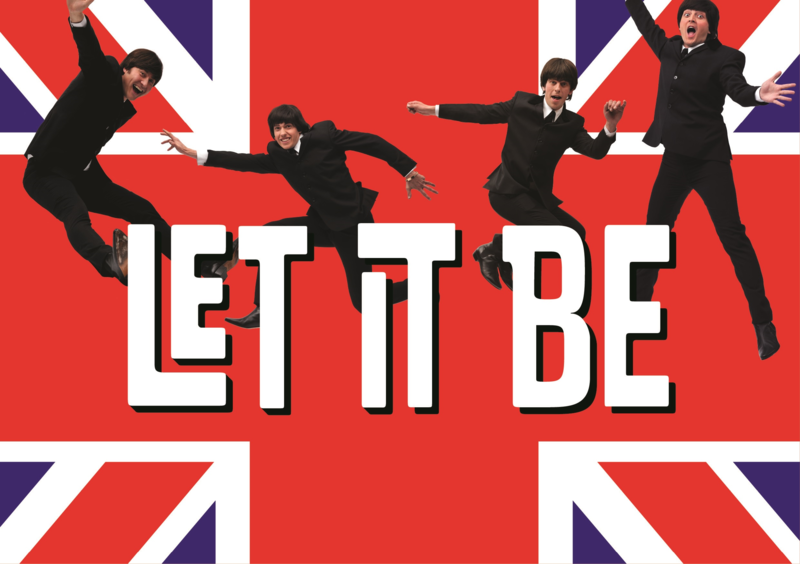 Gavin Kalin Productions are proud to announce the launch of a brand new Beatles show hitting the stage this autumn. Love Is All You Need celebrates the music of the best-selling and most influential band in history in a spectacular show featuring the very best of The Beatles’ exceptional repertoire. The production will launch this autumn and tour through 2016 prior to a West End run. Following in the footsteps of The Beatles’ own early tours Love Is All You Need will see the Fab Four delighting audiences in venues all over the United Kingdom and Ireland. To mark the 50th anniversary of the band’s final UK tour in 1965 the show will even stop in a number of the same cities, allowing audiences to rediscover a time when Britannia ruled the airwaves and Beatlemania swept the globe. Love Is All You Need celebrates the unlikely megastars from Liverpool who achieved more number ones than any other UK artist to date, boasting over 20 Top 40 hits and sales of over 22 million singles worldwide. 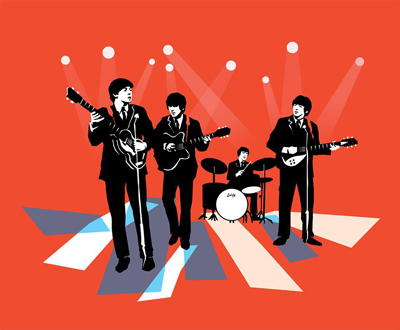 Featuring many songs, including later masterpieces never performed live by the band themselves, this is truly The Beatles show you never got to see, fusing world-class musicianship with state-of-the-art theatrical effects to create an evening of spectacular entertainment. 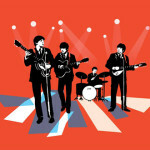 The show is packed with dozens of The Beatles’ greatest hits including: She Loves You, I Want to Hold Your Hand, Come Together, A Hard Day’s Night, Hey Jude, Let It Be and of course All You Need is Love. This is a very exciting investment opportunity for investors looking to be involved with a production from the very beginning. Get in touch today to receive further information. 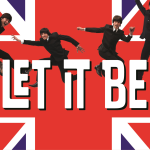 Back for it’s fourth run in the West End, the hit show LET IT BE will be running at the Garrick Theatre in the heart of the West End for 30 weeks from 28th Feb 2015. Seen by over 1 million people worldwide, LET IT BE is jam-packed with over forty of The Beatles’ greatest hits. Relive The Beatles’ meteoric rise from their humble beginnings in Liverpool’s Cavern Club, through the heights of Beatlemania, to their later studio masterpieces, with live performances of early tracks including Twist and Shout, She Loves You and Drive My Car, as well as global mega-hits Yesterday, Hey Jude, Come Together and, of course, Let It Be. 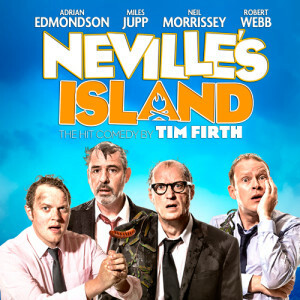 Gavin Kalin Productions is proud to announce they will be co-producing the West End transfer of Chichester Festival Theatre’s production of Neville’s Island. 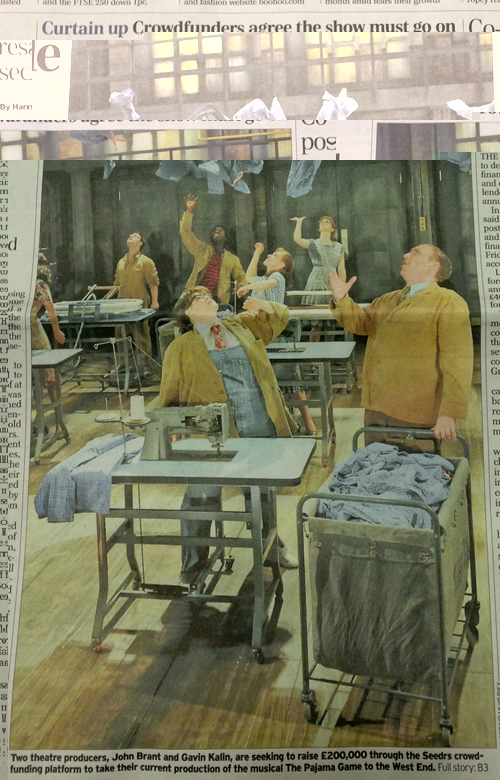 Neville’s Island will be previewing at the Duke of York’s Theatre from 10th October 2014 and will run for 13 weeks. Units are currently available but are going fast. Please contact us today if you’d like to receive an investment prospectus for this exciting comedy. 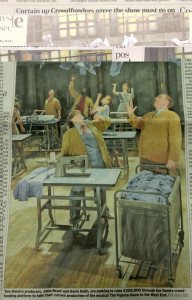 After years of planning, the UK Tour of Shrek The Musical has opened to rave reviews in Leeds. Gavin Kalin Productions are proud to announce that they are the first theatre producers along with Smith-Brant Theatricals to successfully raise capital for a West End production partially through the equity crowdfunding platform Seedrs. With over 200 investors ranging in their investment from £10 to £25,000 the Seedrs raise contributed to 14% of the total capitalisation for The Pajama Game. Stage One, the charity that supports new UK theatre producers and productions, awarded Gavin Kalin £30,000 to co-produce the West End transfer of the critically-acclaimed Young Vic production of A Doll’s House. Gavin Kalin Productions will co-produce alongside the Young Vic, Mark Rubinstein and Neil Laidlaw. The production will open at the Duke of York’s Theatre in August 2013 and will see Hattie Morahan reprising her award-winning role of Nora Helmer with Dominic Rowan playing Torvald. Directed by Carrie Cracknell and adapted by the Olivier award-winning playwright Simon Stephens, A Doll’s House premiered at the Young Vic in July 2012 and returned in March this year when it celebrated a second sell-out run.